Hi. Im sorry to hear about your sister. I got an e-mail this morning from your Uncle. I know him from the marching band he plays in. I blogged about this on Yahoo!360! this morning, the word is getting out there and I hope that someone will come forward with some information for you soon! my fingers are crossed matt.. lets hope for the best! I am a syrian canadian living currently in syria. If you want to come here to look for her (which I highly recommend) you don't have to worry about a place to stay in damascus, plus i'll arrange your transport within syria and help u out as much as i can. just let me know if u need help with the ticket or anything else. Steven from Ohio here. I know that Karim has started to contact some of his people. I am trying to track down a women's issues NGO in Damascus, but will need more time. I contacted www.syrianews.com about this story, hoping they would put it on their site. Also www.syriacomment.com should be contacted, just an idea. Don't worry, we will find her. I also called a friend of mine in the city of Hama and explained for him the whole story in case he knows or maybe in the future hears anything about it. I really recommend what the fellow before me had suggested and that you contact some media newspapers that speak in English. If there are any Arabic news papers you wish me to address just let me know here on a reply. Re: Don't worry, we will find her. Thank you so much for forwarding the link. The Syrian media is one of our primary targets as we want to get as many people within Syria reading about the issue as they have the best chance of recognizing Nicole and letting us know where they saw her. Right now we're fairly certain she disappeared between Hamas and Aleppo. If you or your friend have any contacts in the area around Ibn Wardan or the Dead Cities or even the "beehive houses", we'd love to hear from them. People who run tours in the area or drive microbuses also may have helpful information, especially if they did so around March 31st. We may move to contact more newspapers in the near future, and if we do so, I'll definitely let you know. Fingers crossed man. I hope she turns up. I'm sure she will be just fine. In the area of Ibn Wardan, the nearest place that could sound like this is "Aqeirbat" or "Aqibat" (the same place, but you'll find it named differently depending if you're looking on a syrian map or an english guide-book map). This city is marqued on the Syrian touristic map (the best one, I used it to travel in Syria buy car and it was more precise than the ones on the LP) as the distric center. But it's not really on the road. Usually the beehives houses the tourists can visit are in the village of Srouj (or Sarouj or As'Srouj) and Twalid'Dabaghien. These villages on the road between Hama and Ibn Wardan. The castle is 40 minutes drive from Hama, and from there the only way to go further is to come back on the same road or continue through Kherbet al andarin, Senjar, to reach the Hama-Aleppo highway. If she was intending to continue to Turkey, it's a bit strange to think that she would have planned to go to the Dead cities and then come back to Hama. At the Riad hotel in Hama (the direct "competitor" of the Cairo, offering same services to backpakers), I saw some excursions on the list that was offering to get you to the Dead cities than leave you in Aleppo (kind of one-way excursion). It's because it's very near of Aleppo. So, may she have taken a one-may excursion without knowing it? But she wouldn't have gone on a day trip without money, so she would have been able to come back to Hama. Did the manager of the Cairo Hotel communicate at some point with the syrian autorities? If not, it seems to me very unprofessional and it would be important for other solo travellers to know it. They may prefer to go at a place where they'll be sure somebody will be looking for them if they don't come back as planned at the end of a day-trip. Did Nicole leaved her passeport at the hotel? If yes, do you know what other identification papers (credit or bank card) she may had with her? This could help you to track her. I really hope you will find her soon. We think we've translated the word to "the Domes", meaning essentially the beehive houses themselves. It's the best match we've come up with. Your point on it not making sense that she would see the Dead Cities and come back to Hama makes sense to me - Nicole was all about efficient travelling and not back-tracking. The problem is trying to communicat with the Cairo Hotel - talking over the phone in English likely led to mistakes, and otherwise I've been hearing second-hand reports from others (who often also spoke English). I'm starting to suspect she may have gone to Ibn Wardan, and then returned via the beehive houses (so she could take her time). We had a report that she made it to Ibn Wardan and then disappeared between there and the houses, but it's unconfirmed. I also saw on the map that you can't go anywhere after the castle. It's VERY strange that the Cairo Hotel manager didn't mention it to the authorities. I'm not entirely sure what is up with that - perhaps he did and they didn't mention it to the Canadian Embassy? That also seems wrong. I'm not sure what to make of it and can only hope that the Syrian police have asked similar questions. Nicole would never leave her passport anywhere unless forced to (on a cruise ship, for example). Unless it's a standard requirement in Syrian hotels (and I found that doubtful, especially at budget hotels), she would have her passport on her. We have copies of all her ID as well. I saw at lest one of these websites on here, but I re-posted the three a Syrian gentleman gave me, just in case. www.syria-news.com this web site is a news web site where most Syrian read their news from. www.al-sham.net it’s a web site were a considerable number of Syrians go to for fun, to spend their free time there. www.aljazeera.net if you want to deliver a stronger message that reaches wider audience. He was very nice and said he would try to help anyway he could. Just to let you know that many people in Syria really are wonderful. 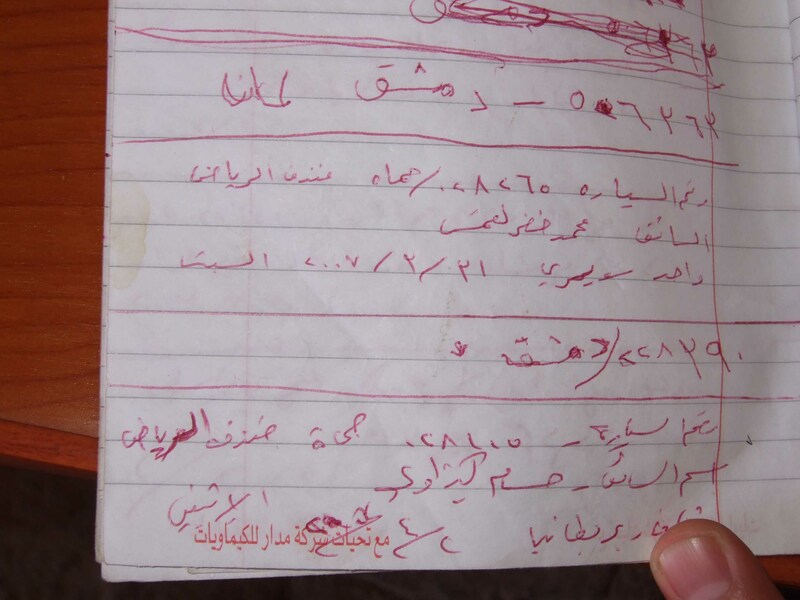 I have a letter from a random Syrian trying as hard as he can to help! Syria, especially Hama and Homs area, is desperately hard to communicate in. There is a very good chance she may simply be stumbling around an area that doesn't have any real form of communication. She's a tough chick and a month of floundering in Syria trying to find communication is a challenge I think she is up to. - Or so I have heard from Kate. I haven't had a chance to personally meet her yet. I will make sure I get some one to write a note for every one in the web sites I visit regularly, which has lots of members to have a greater chance finding her ASAP. 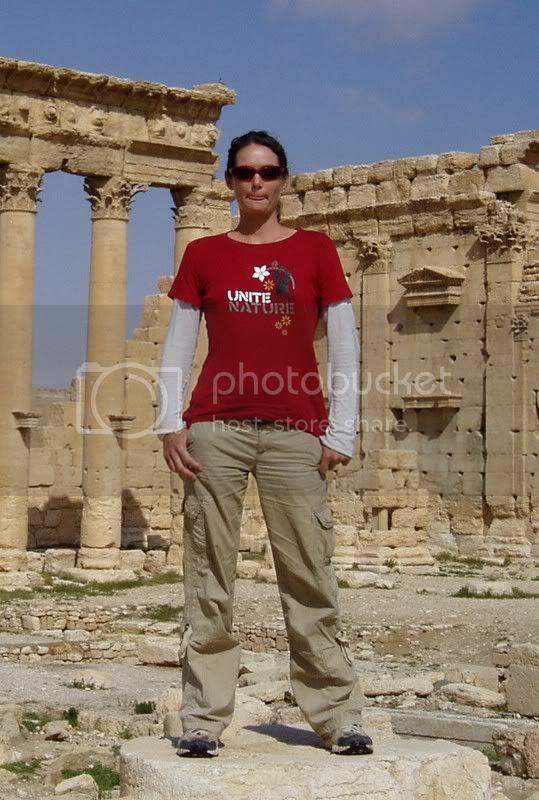 I recall one known incident, than once a French girl has lived with "Al-bado" the wandering nomads near Palmyra, she got married and had children there..
Matt, I really hope for the best. I lived a couple of years in Syria. I have been all over the world and although I do not support the regime itself, the Syrian people are the most warm, truly friendly and helpful people I have come across. They will help you irrespective of rang, standing or religion. Syria for foreigners is a very very safe country. Although the Mukabarat is feared they will actually watch that nothing will happen to the foreigners. Please follow some Syrian contacts and try to get in contact with them. Go to a Hammam and talk to the locals. There will be people speaking English or French. They will help and news spreads very quickly in Syria.